While new treatments have helped combat the illness, the mortality rate remains high. The ACS reports that breast cancer is second only to lung cancer in terms of cancer death in women. 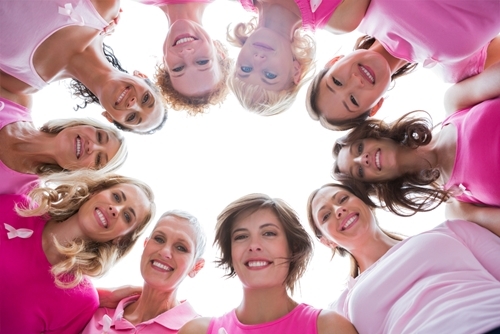 Further, the organization estimates that “39,620 women will die from breast cancer” this year. Many entities participate in Breast Cancer Awareness Month. For instance, Tulsa World reports that Panera started offering a Pink Ribbon Bagel, made of cherry chips, dried cherries and cranberries, vanilla, honey and brown sugar, in 2001. This year, the bakery chain plans to donate $0.25 from every bagel to the Oklahoma Project Woman. Additionally, major sports leagues are joining the cause. The NFL uses pink in all of its October broadcasts and even changes its yellow penalty flags to the awareness campaign’s color. MMA Junkie reports that Bellator, a mixed martial arts promotion, will have its fighters wear pink gloves in support of this cause. That’s not to say that national organizations are the only ones that can participate in Breast Cancer Awareness Month. Small businesses can actually play a vital part in generating awareness and helping customers learn about this disease and what can be done to stop it. One of the best ways that local companies can join the cause is by distributing unique promotional products that have been designed specifically for Breast Cancer Awareness Month. The following is a look at some of the best promotional items small businesses can use to build awareness for breast cancer. Perhaps the best way to generate awareness among customers is to ensure to see that they think about the disease every morning when they drink their coffee. The Breast Cancer Awareness Mug features the famous pink ribbon on one side so consumers know that they should participate in the cause. Almost everyone enjoys a nice cup of coffee each day. By capitalizing on this fact, small business owners can ensure that their clients are regularly exposed to the awareness campaign, which may lead to donations and other contributions to charitable efforts. The Regatta Pocket Pal Calendar is an excellent tool to advertise a business and combat breast cancer. The promotional item features pink gilding so consumers will think about the disease every time they jot down some quick notes. There is a 50 page notepad within the pocket calendar so customers will have it for an extended period of time. Further, there is ample room on the exterior for a small business’ logo. This ensures that consumers will develop brand recognition and breast cancer awareness simultaneously. Finally, the Key Light LED Flashlight Key Ring can help shed some light on breast cancer for consumers. The functional gift allows consumers to easily find items in the dark while remembering that more can be done to combat breast cancer. Because it’s a key ring, customers will carry this item everywhere, which means that they’ll constantly develop awareness for breast cancer. This may be one of the most effective items that small business owners can distribute this October in order to participate in a great cause. Ultimately, the pink flashlight can go a long way in the fight against breast cancer. What themes work best for promotional giveaways?